Author of: Apothecary Cocktails-Restorative Drinks from Yesterday and Today- Bitters and Shrub Syrup Cocktails: Restorative Vintage Cocktails, Mocktails, and Elixirs - Whiskey Cocktails : Rediscovered Classics and Contemporary Craft Drinks Using the World's Most Popular Spirit - Cannabis Cocktails, Mocktails, and Tonics: The Art of Spirited Drinks and Buzz-Worthy Libations, and the Craft Cocktail Compendium (2017) Apothecary Cocktails was nominated for a Spirited Award at the 2014 Tales of the Cocktail.... Warren writes about food, wine, mixology and spirits. He is a master mixologist for several craft liquor companies. Warren is a former chef/saucier- fresh pasta manufacturing company owner *lost business in Hurricane Hugo* - to private banking (for 20 years, a grand mistake) to reinvention as the Warren he's always wanted to become. 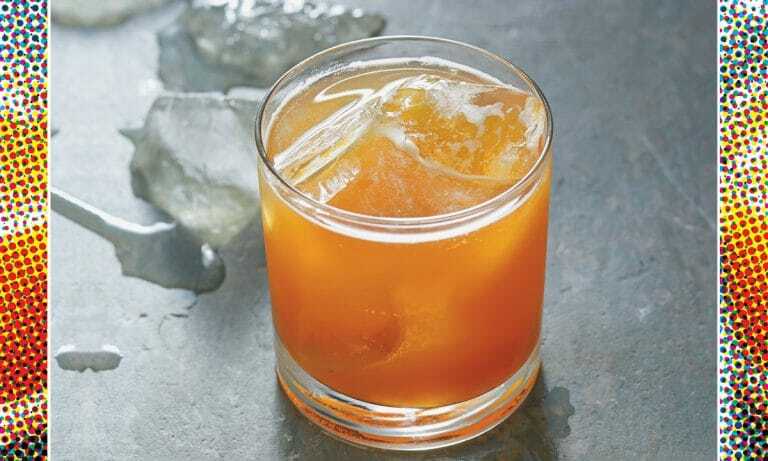 7 Easy Ways To Make Any Cocktail You Make Taste Better Well, almost. I’m a firm proponent of craft cocktails. But with that said, not just any cocktail is worthy of the label, “craft.” Just like not every spirit is really craft when it says so on the label. For all intents and purposes this should be your rule of thumb. According to the American Distilling Institute, which is the go/to for all thing that are craft in the United States, a spirit may qualify as a craft spirit if and only if they produce fewer than 52,000 cases of that spirit per year in their own distillery. So not to confuse you, this means 52,000 cases of a spirit distilled under their own roof qualifies. Back by popular demand, Warren Bobrow, noted international judge, journalist and food writer, the “Cocktail Whisperer” will share his knowledge of Single Malt, Scotch Whisky. From the Isle to the Highlands, you will taste 12 different Scotch whiskies, from the bland to the beautiful. From the bottles that you can buy anywhere to something special from his own stock. Warren will have us tasting the difference between the stuff your father drank and the fine bottles we should be drinking! The cost per person will be $35.00 for tasters. Accompanying tea-totalers and designated drivers will be admitted free. This tasting is limited to the first 30 members and their guests to register. This is sure to be an educational and memorable event. The tasting will be followed by a Scotch themed dinner at the club. Have your kilts pressed and dust off your bag- pipes for a wonderful evening. CHECK OUT THE DINNER MENU!! My influence for writing Whiskey Cocktails is one of a most circuitous nature. Whiskey has rough and tumble roots for me. Initially I looked at whiskey as something that was rough and harsh across my palate. I wasn’t a whiskey fan until a couple of years ago. Rum was more my forte, I was a rum judge for the Ministry of Rum in 2010. I also wrote about food, and, of course wine. It’s very tough to make a living being just one more voice in the room of food writing or even wine writing. The Reformed Spirits Company, makers of the World Renowned, Martin Miller’s Gin has created a crystal clear, uncolored, ‘Irish Cream’ liqueur that is mesmerizing in mouthfeel, quality and overall finesse. What they have created, using Irish Malt Whiskey, is a bourbon, chocolate, milk punch without any caramel color added at all. In fact, what they have done is rectify an authentic spirit base with a plethora of marvelous flavors that say rich and creamy in the glass without a drop of artificial color to further confuse the consumer with layers of provenance that just doesn’t exist. Tsipouro or Raki(i): They’re Both Greek Moonshine Craft Distilled in New Jersey! It’s Greek Moonshine… and to Greek people it’s best known as Tsipouro. OK, now that you got that, sometimes it’s better known as Raki (but not the Raki that you may think you know, the one from Turkey or Armenia…) Rakii *spelled with two i’s for TTB/legal reasons-not to confuse the consumer with the best known Raki on the market, this style of Raki is usually made only in Greece and named Tsipouro. Lazy Eye Rakii is being craft distilled in a most unlikely place, Southern New Jersey. Richland, NJ. This craft distillery is not just around the corner from anywhere in particular, like NYC for instance, it makes for a good day trip. Cannador CEO Zane Witzel is producing a mini docu-series that showcases cultivators and culture in recreationally legal states across America called Growing Wild. The first episode focuses on the Portland weed scene and features several notable cannabis industry professionals. The Cure For Depression in Northern NJ? The Sloppy Joe Sandwich! It’s so thin! Why so much dry Cole Slaw? What is that orange stuff on there? What is that, tongue? (What is tongue anyhow?) And ham? And Cheese,… AND why is the crust cut off the bread? Around much of Pan America, rum offers a taste of place and a mini-history lesson in every sip. As U.S.-based rum expert and judge Warren Bobrow says, “There is a rum for every island, for every meal, and every dish. Rum is incredibly versatile: it speaks to Cognac and brandy lovers.” There’s infinitely more to explore than “the captain.” Here are some of the must-tries, should you be so lucky! READ MORE @ Rum; Worldly Delights!